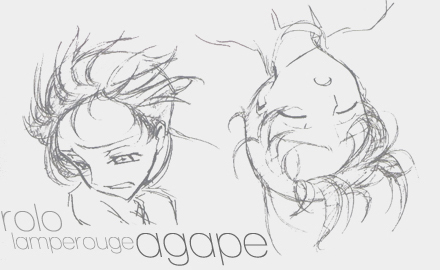 Welcome to Agape, a small tribute to the character Rolo Lamperouge from Sunrise's whack job anime, Code Geass: Hangyaku no Lelouch R2. Within this tribute contains The Anime Fanlistings Network approved fanlisting for Rolo. The fanlisting stats and related pages are found under the fanlisting section, linked in the menu above. The update date listed on this page only reflects the shrine portion of this tribute. Rolo is hardly the most important character in the series, or anywhere near, but to me, he is important. His personality and past got to me, and he became my favorite. The special tribute section will contain some of my personal opinions of him as well as general information. That of course means it will contain heavy spoilers for most episodes of R2, the second season of Code Geass. Also, this is just a fan made production, I have no affiliation with Sunrise, Inc. No copyright infringement intended.